Raleigh, N.C. – Smith Anderson partner Christopher G. Smith has been named chair of the board of the newly established North Carolina Chamber Legal Institute. The Legal Institute will provide a vehicle to protect policy and legislative wins in the state and federal courts. The Legal Institute will serve three main functions: provide nonpartisan analysis of North Carolina’s legal environment and legal system to identify improvements to enhance the business climate; inform the business community and general public by publishing the results of those activities; and participate in important civil litigation through submission of Amicus Curiae briefs and participation as a party in litigation where appropriate. Chris leads Smith Anderson's Commercial Litigation Team. He is a trial and appellate lawyer who manages large multi-party and multi-jurisdiction litigation projects. He currently serves on the Board of Directors of the North Carolina Chamber and also as a member of the Board of Directors of M&F Bank (formerly Mechanics and Farmers Bank). He works with business groups and government officials on initiatives to improve the quality and efficiency of the administration of justice in North Carolina and on policy and legislative matters affecting the business legal climate in the state. For more information on Chris’ practice, visit his bio. 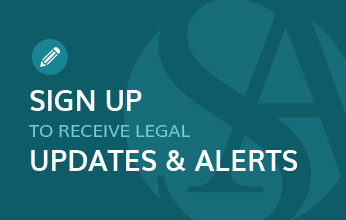 For more information about Smith Anderson, visit www.smithlaw.com. For more information about the North Carolina Chamber, visit www.ncchamber.net. The North Carolina Chamber is a nonpartisan business advocacy organization that works in the legislative, regulatory and political arenas to proactively drive positive change to ensure that North Carolina is a leading place in the world to do business. Strengthening the state’s ability to attract, keep and grow jobs is the Chamber’s highest priority. Central to that effort are four “Pillars of a Secure Future” for North Carolina, which include Education and Talent Supply, Business Climate, Entrepreneurship and Innovation, and Infrastructure and Growth Leadership. For more information, visit www.ncchamber.net.